Mitchell G. Mandell is a partner in Herrick’s Litigation Department, where he focuses on the resolution of commercial disputes involving foreign and domestic businesses. Mitch is a seasoned litigator and trial lawyer with more than 30 years of experience handling commercial litigation matters and corporate transactions in a wide variety of industries, including investment and commercial banking, technology, healthcare, insurance, venture capital, manufacturing, entertainment and apparel. His clients have included Fortune 500 companies, foreign governments and dignitaries, investment banks, hedge funds, record labels, movie studios, high net-worth individuals, medical research companies and charitable organizations. 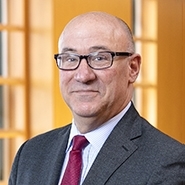 Mitch regularly counsels and represents employers and senior executives on employment contracts, restrictive covenants, separation and confidentiality agreements, internal investigations, wrongful discharge, retaliation, harassment, unfair competition, trade secrets, and compliance with anti-discrimination laws. Mitch has substantial experience counseling clients on bankruptcy litigation, creditor's rights, corporate reorganization issues and the insolvency law aspects of corporate transactions. He advises financial institutions, creditors and troubled companies in out-of-court debt restructuring, and represents postpetition lenders and investors in the sale and acquisition of debt and assets from Chapter 11 companies. Mitch has more than 25 years of experience advising Latin American companies and high net-worth individuals doing business in the U.S., and U.S. entities doing business in Latin America. His work in the region spans a number of countries, including Colombia, Argentina, Brazil, Peru, Chile, Bolivia, Dominican Republic and Costa Rica. Throughout his career, Mitch has often served as outside general counsel for companies in a number of industries, including charities and other non-profit organizations. He has guided many organizations through various stages of growth, helping them raise and secure funding, draft shareholders or partnership agreements; address employee, labor and intellectual property issues, and representing their interests in bankruptcy if necessary. Board of Directors, Project A.L.S.